The weeks just slip by. I enjoy my work and I enjoy my leisure activities. Like most people, I start my work week on Monday and the days roll by. Since I have always enjoyed my work, I never succumbed to the “Thank God it’s Friday” attitude that seems so pervasive in our popular culture. I sometimes marvel at the Facebook entries of young people and how they look forward to hump day (Wednesday) because it’s closer to Friday, which signals the start of a weekend that goes by too quickly. As a business executive, I have noticed over the years that I have conflicting priorities regarding weeks and their passage. Since there is always good news in the future, like the signing of a new contract, the meeting of a major milestone and the associated progress payment and resulting positive cash flow, I find myself waiting for next week, next month, and next quarter – so the good event can happen. It’s like waiting for my birthday or Christmas as a child, except it’s constant and ongoing. I am basically wishing my life away by looking forward to these future events. 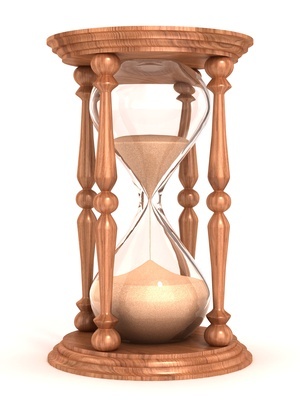 On the other hand, as the weeks roll by, I am critically aware of how I am getting older, how the top of the hourglass now has much less sand in it than the bottom. I don’t want the weeks to pass. I want the days to last longer. I don’t want the end of the month to come because that’s when the rent and the other bills are due. If you multiply the volume of a .05 carat diamond by the number of weeks in 90 years (4,680), it adds up to just under a tablespoon. This just blew me away, as did most of the charts of this wonderful article. It should be required reading for every young person. If you’re under 30 now, and you are reading this, do yourself a favor and check out Your Life in Weeks. It will change the way you think and it may well change what you do when you get up after reading this post. And if you’re older, like me, it will do the same.